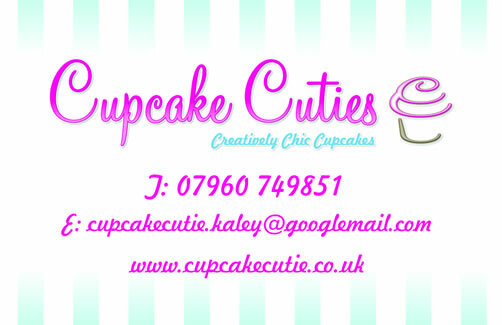 Cupcake Cuties , provide Vintage Sweet Stall Services to weddings and Events in Milton Keynes and surrounding areas. 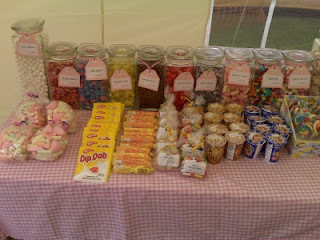 We can provide the vintage theme with our wonderfully quaint Vintage Sweet Stall. These are great for vintage weddings and events. We can tailor the decorations to suit your theme. ﻿Our Vintage Sweet Stall will be presented beautifully with an array of nostalgic sweeties to put a smile on the faces of all of your guests. 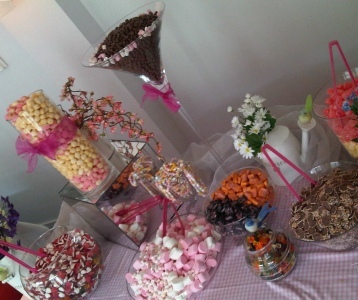 Simply choose from the following sweetie options. Then please contact us to discuss recommendations for your quantity of guests. 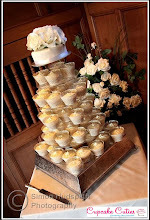 To add a Vintage Cart to present your cake buffet upon just add £100 to your cake buffet cost . We will set up the cart at your venue on the day and return to collect it the following day.